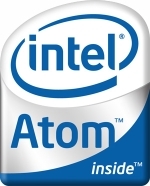 As I previously thought, hackers have worked around Apple’s decision to disable the Intel Atom chip in the latest release of the operating system (10.6.2). It only took 2 weeks for hackers to figure out how to fix the change, however it doesn’t come without it risks. It’s a full-on replacement kernel for OS X. 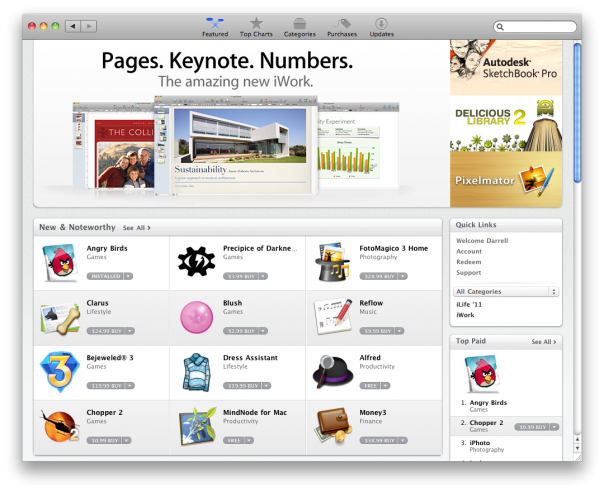 It was developed by a member of the InsanelyMac forum and it requires a bit of fine tuning to get installed. Download and use at your own risk, links below. iDashboard v1.0 has been released by WyndWarrior, it’s an iPhone utility which mimics the widget functionality of Mac OS X. A multi page dashboard for your iPhone! 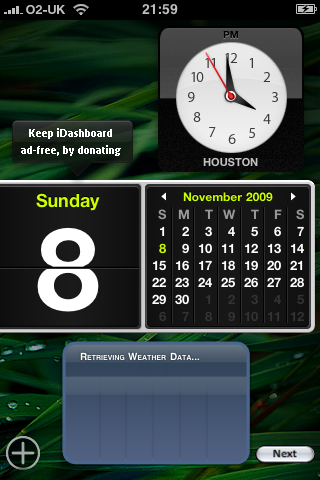 Features a world clock, a calendar, a weather widget, a working calculator, lockscreen dashboard, and double-tap Dashboard. Also will have available widget packs for download in Cydia. 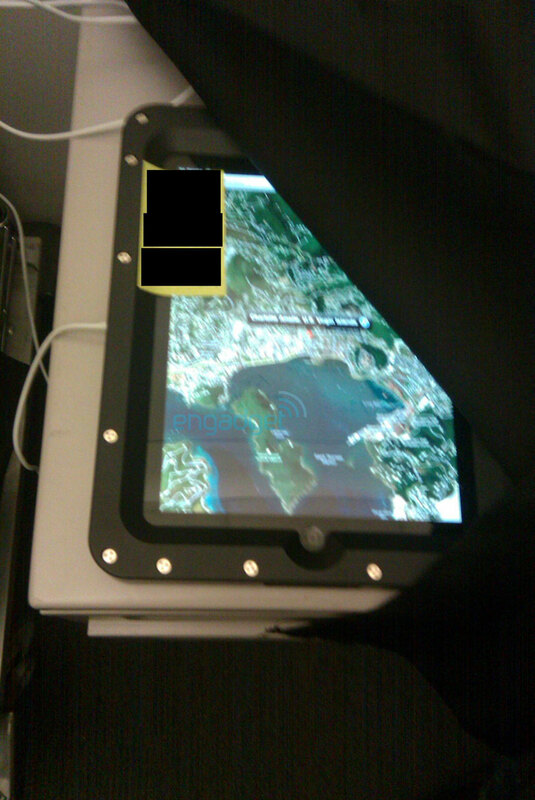 Customization features include: wall-papers with auto-dim and the ability to change wallpapers through the photo app. Steven Troughton-Smith is developing a similar application, which is not yet released. 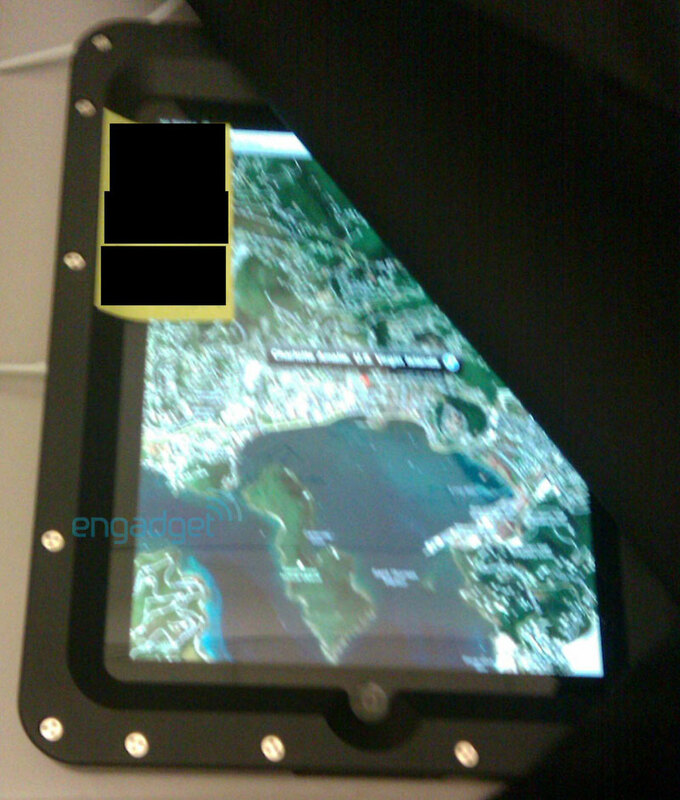 Apple Tablet (iPAD) Outed in Borders Survey? 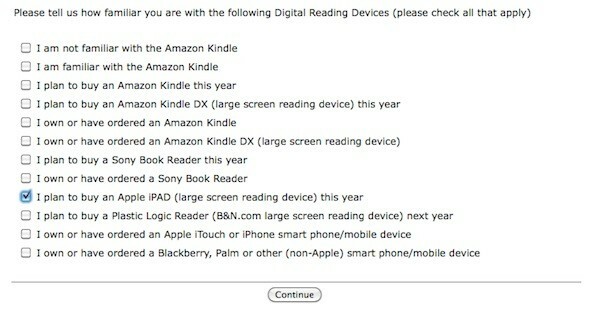 An online survey from the Borders Bookstore a reference to the Apple iPAD, this presumably being the tablet device which if in fact is used as a book reader could challenge the Kindle. If what is shown is in fact true then the Apple iPAD must be released this year to fit in with the reference from the survey. 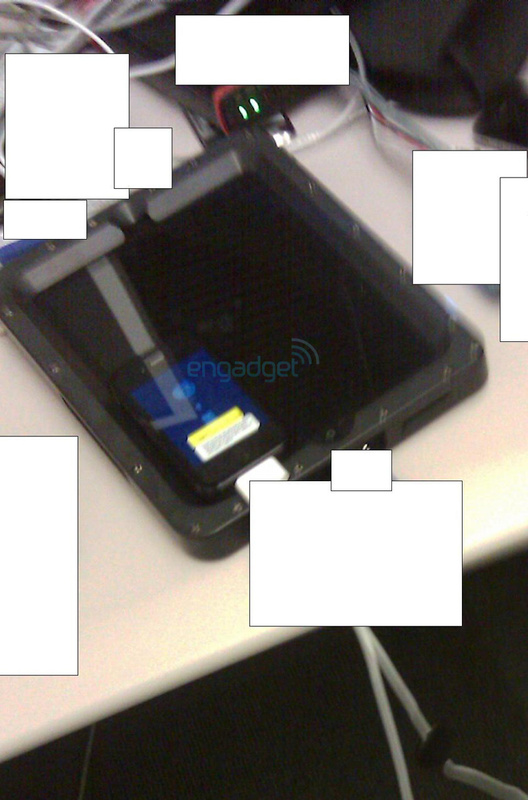 This further backs up the fact that an Apple Tablet is imminent. 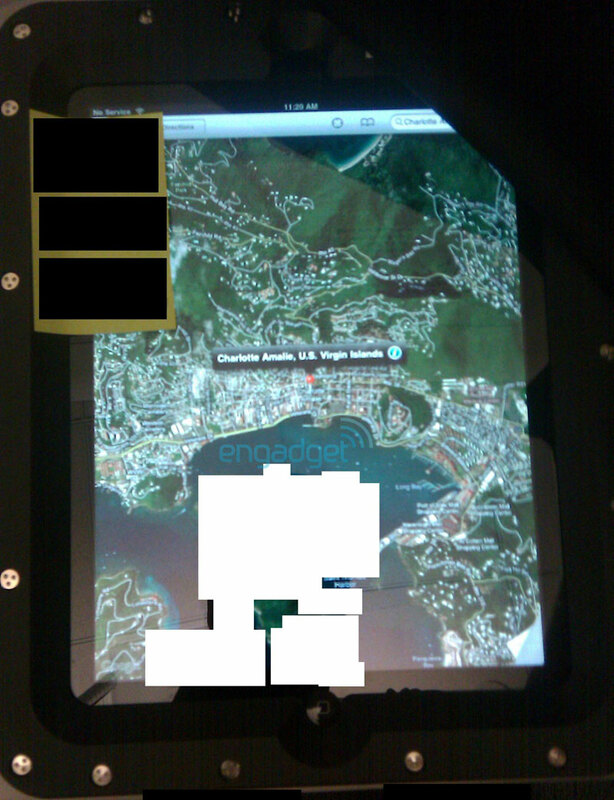 Yet more pictures of Apple’s rumoured tablet have appear online, once again they look quite convincing but you can never really tell these days. But using video as they did to try and prove the new 3rd generation iPod Touch is a good way to prove it. 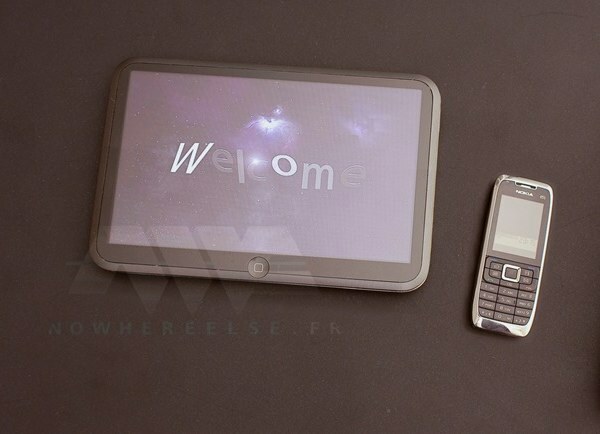 The second picture shows a phone to show both the size comparison and to try and prove its authenticity. 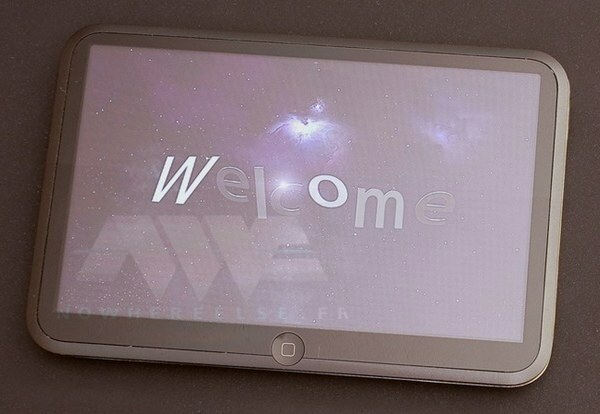 It certainly fits the idea of an Apple tablet, with only one button, but we will have to see what else appears.